Editor’s Note: Dr. David Santos is a double board certified facial plastic surgeon in the Seattle Washington area. Dr. Santos has performed more than 4,000 facelifts and over 10,000 facial surgeries since 1995. He has served as Medical Director for Lifestyle Lift and presently serves as Physician Mentor for SonoBello®. 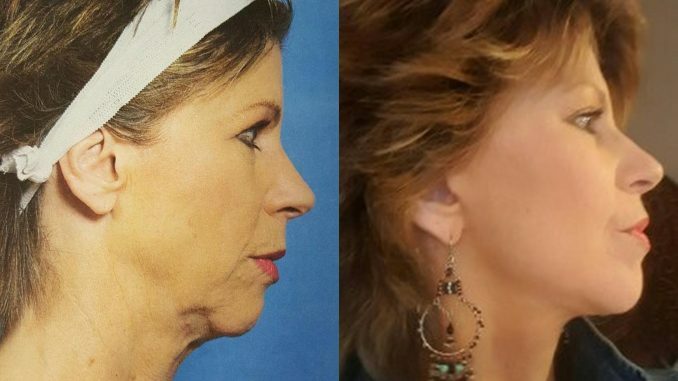 He continues to travel the country to lecture and instruct surgeons throughout the U.S. on facelift and facial rejuvenation techniques. Sherrie’s story is a true inspiration. Courage and an outstanding attitude have helped her overcome tremendous adversity. Recently, taking necessary steps to look younger has given her the needed confidence to take her business and an innovative new product to the next level. Sherrie has never had it easy in life. She relates that abuse she faced as a child forced her to leave home at an early age. If that were not enough, Sherrie has suffered serious injuries. Growing up, “I was always a tomboy and played lots of sports,” she said. Getting hurt while playing led to two neck surgeries plus an operation to reconstruct her knee. But Sherrie refuses to let all that adversity defeat her. “I learned to be better, not bitter,” she said. Rather than feel like a victim, she chose to forgive what others have done to her and to focus on the joys in her life. For one thing, “I have a husband who’s very supportive,” Sherrie relates. She enjoys using her life experiences to encourage others. 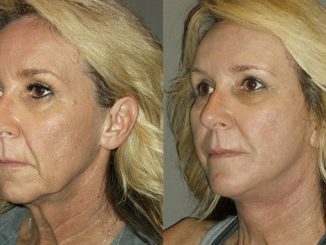 All of her outdoor activity led to sun damaged skin and face and neck aging. She tried to hide it for a while, but finally it got to be too much. Deep lines around her eyes and upper lip hid her natural beauty and made her look much older. Finally her personal courage and determination led to her to Lifestyle Lift. I was her physician. 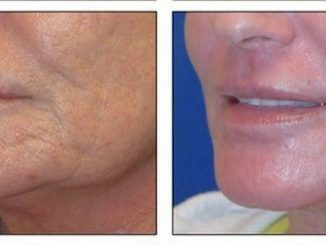 Sherrie had Ulthera treatment to stimulate collagen production and tighten her skin. I’m considering going on Shark Tank. I would never have considered that if I hadn’t had this done. Sherrie provides a sterling example of how far a great attitude, an indomitable spirit, support from family and friends and self-confidence can take you. I’m happy that the work we did together to rejuvenate her face and neck has made such a difference in her life. My staff and I enjoy being able to help restore the natural good looks and improve the lives of our patients.